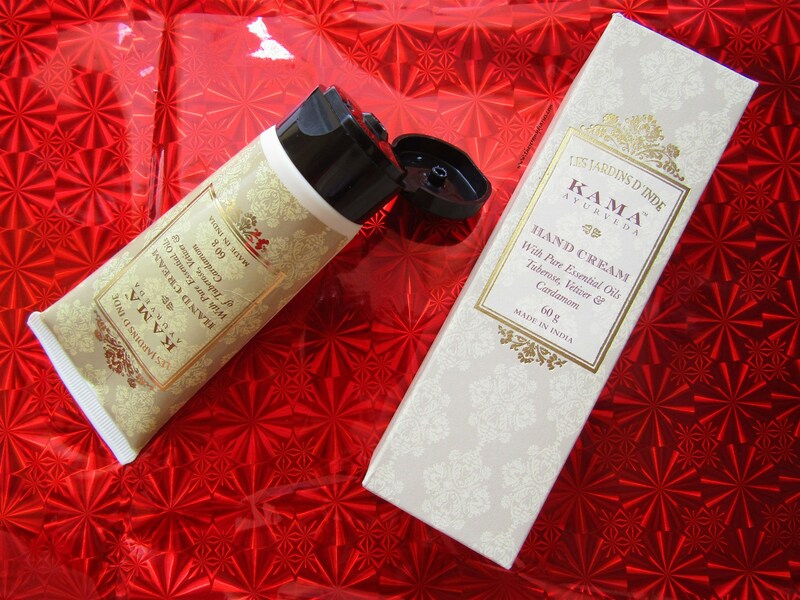 Packaging: I absolutely love the packaging of Kama Ayurveda hand cream. It comes in golden packaging with a black flip cap. 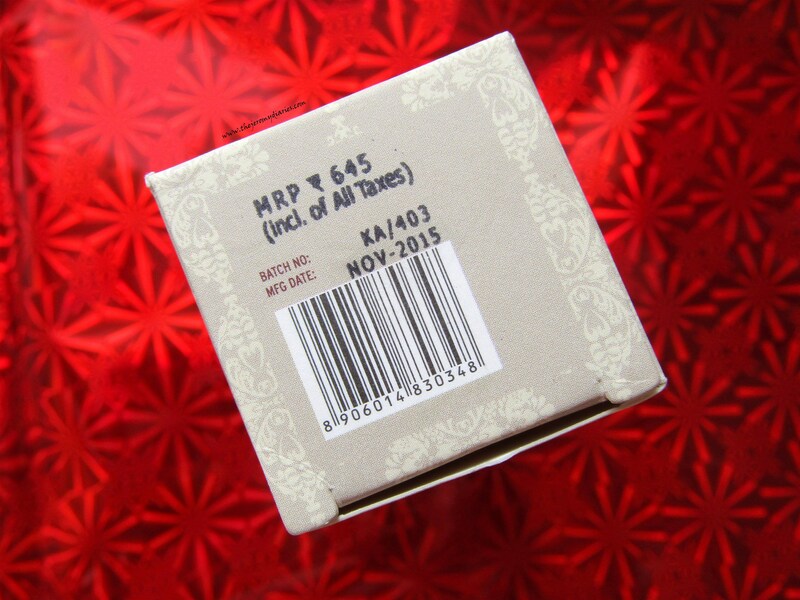 The glossy rectangular embossing on the front showing the product name adds a royal touch to it. I have taken this while travelling and I can safely say it is travel-friendly. 🙂 The hand cream didn’t squeeze out or leak whatsoever. 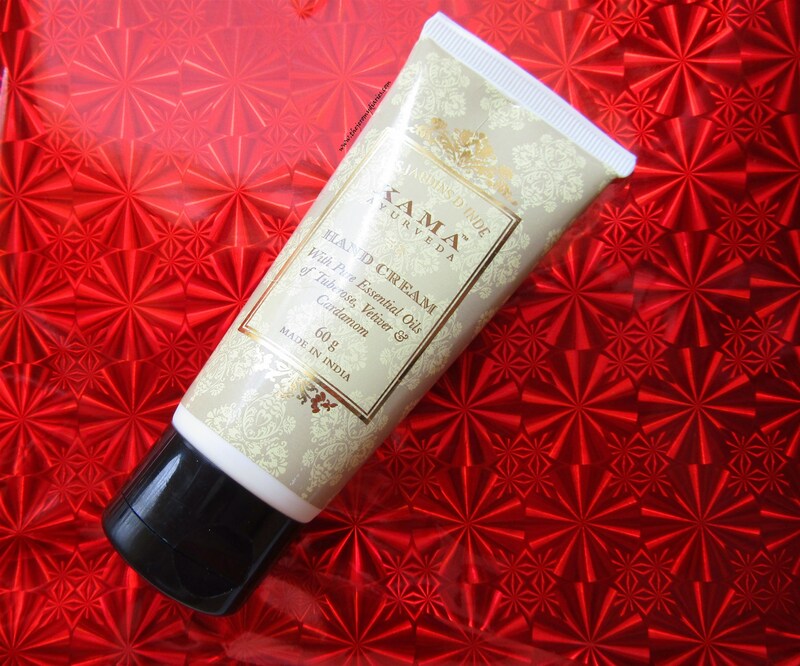 The fragrance of this hand cream is definitely worth talking about. It’s floral more like jasmine but with an ayurvedic note to it. We all know how ayurvedic beauty products smell. This definitely has that note with bits of floral because of the presence of Tuberose. 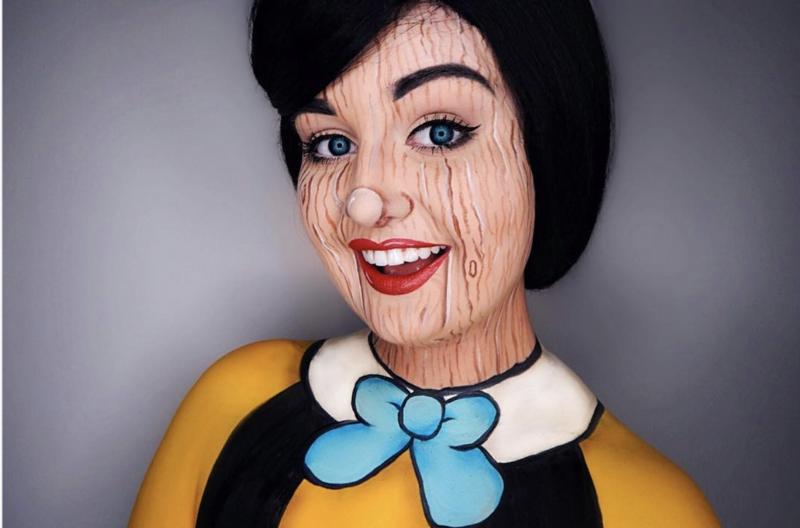 When applied, the fragrance lingers on for almost 2 to 3 hours. 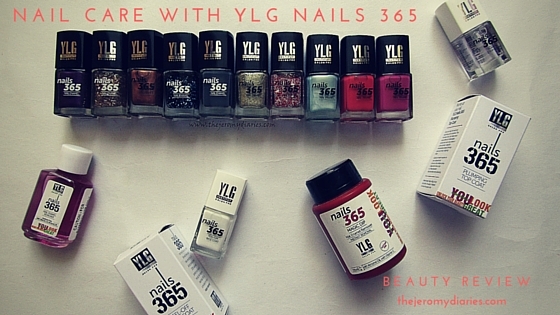 Results: I have generously used this for almost 3 weeks now and I absolutely love it. 🙂 The first time I used this, the amount I used it was like any other hand cream I have. 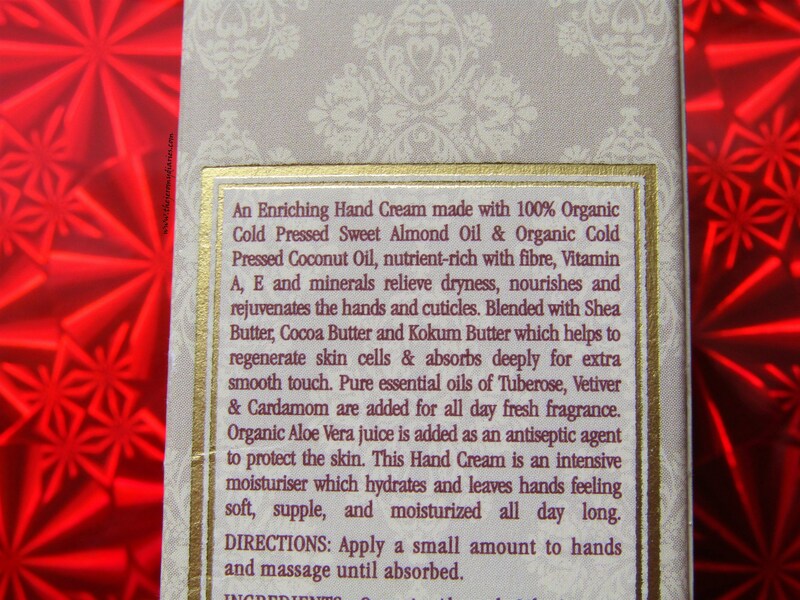 Then when my hands got super oily, I understood I had used it the wrong way. 😛 All I need is a pea-sized amount for both hands and it blends well. Just ensure you use the right amount and it wouldn’t get oily at all. 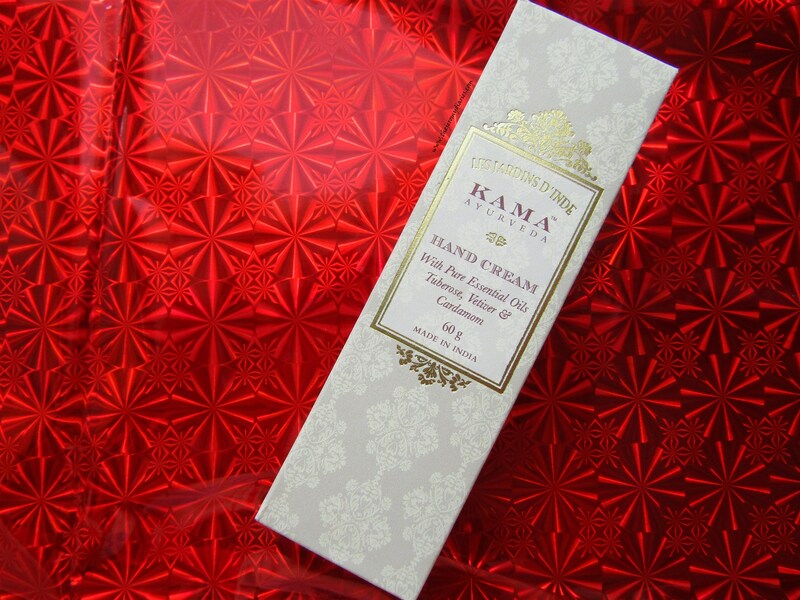 🙂 The hand cream is rich in texture and fragrance. I love how soft my hands feel. 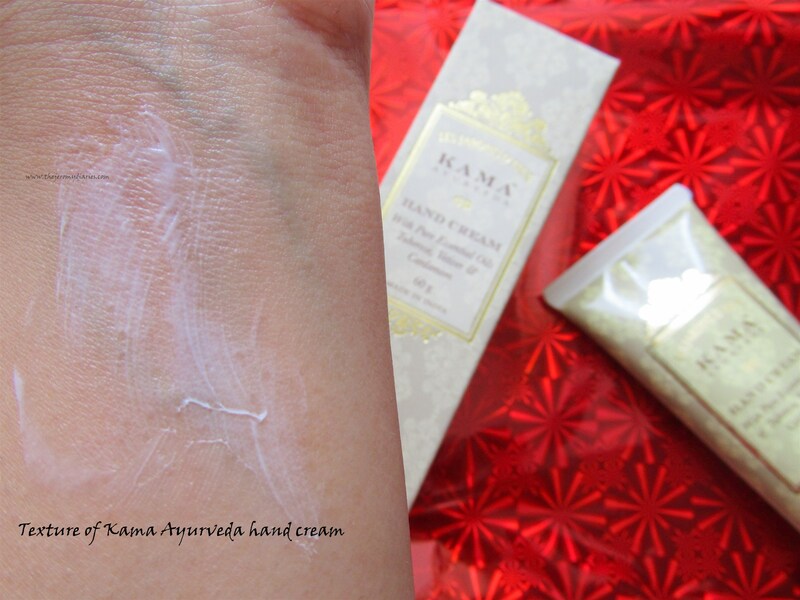 My hands get pretty roughed up if I do the slightest of work so hand creams are bae and Kama Ayurveda hand cream provides the right amount of moisture that my hands need. 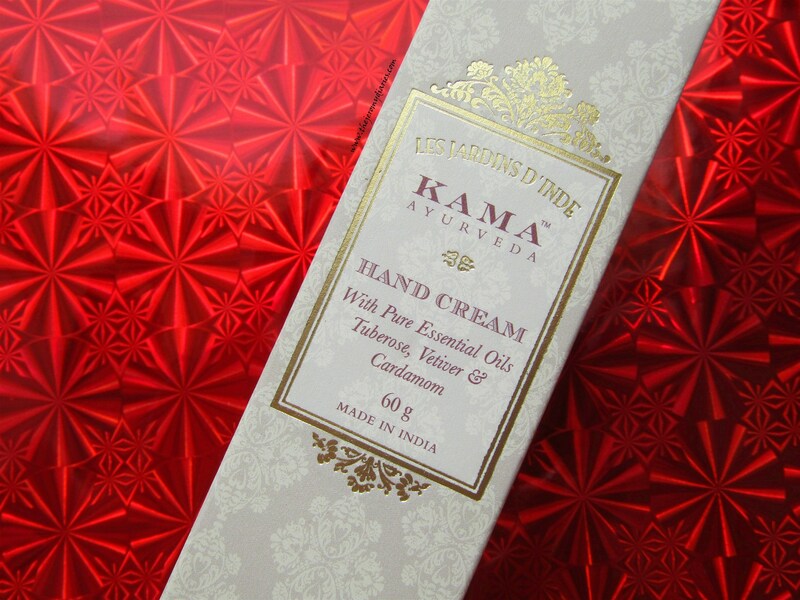 These are perfect winter companions and if you want your hand creams to smell great, this one’s for you. Since only a tiny amount of this is needed for every use, this will last me real long. 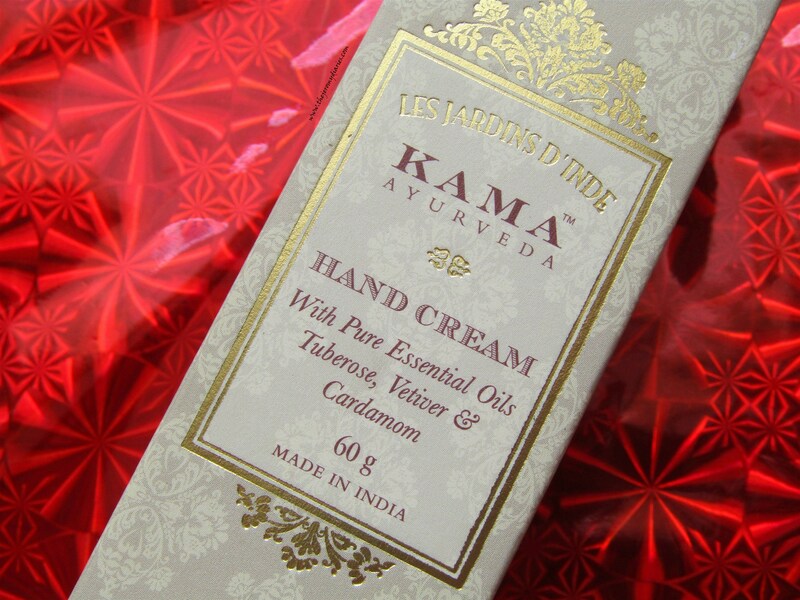 It also has the benefits of Vetiver which has antiseptic properties and Cardamom which is a warming spice that can improve blood circulation and keeps our hands warm. Yes, that’s a fact! 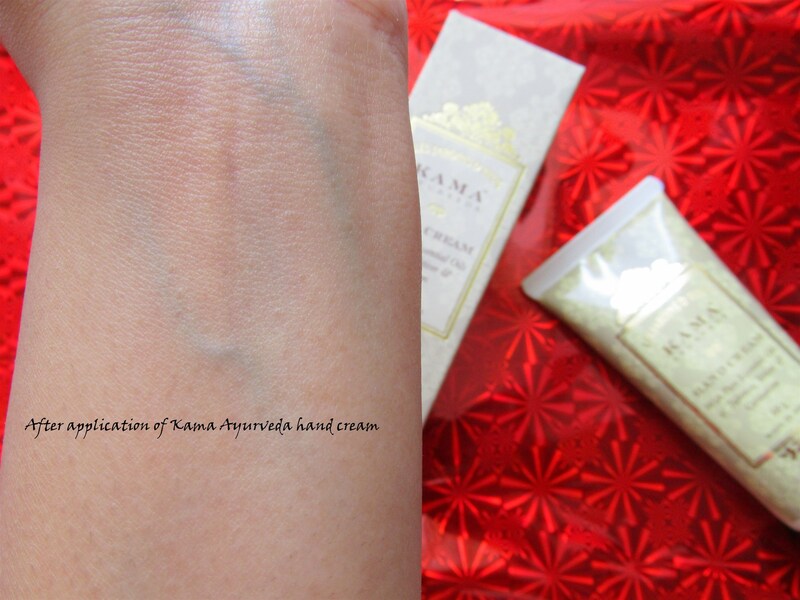 On the whole, I have loved using Kama Ayurveda hand cream. 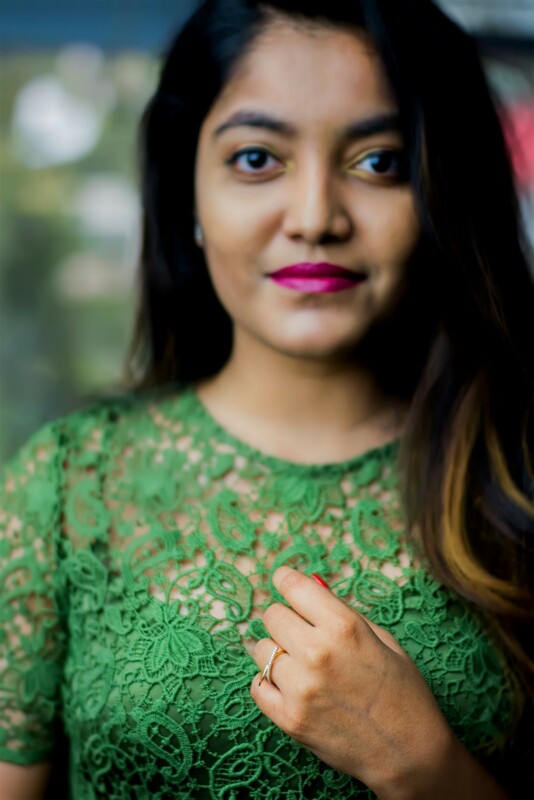 🙂 It delivers what it promises and the fact that it is ayurvedic without the use of any chemicals in it, makes it worth a try. Disclaimer: PR sample. But the review is based on my own opinion and completely unbiased. 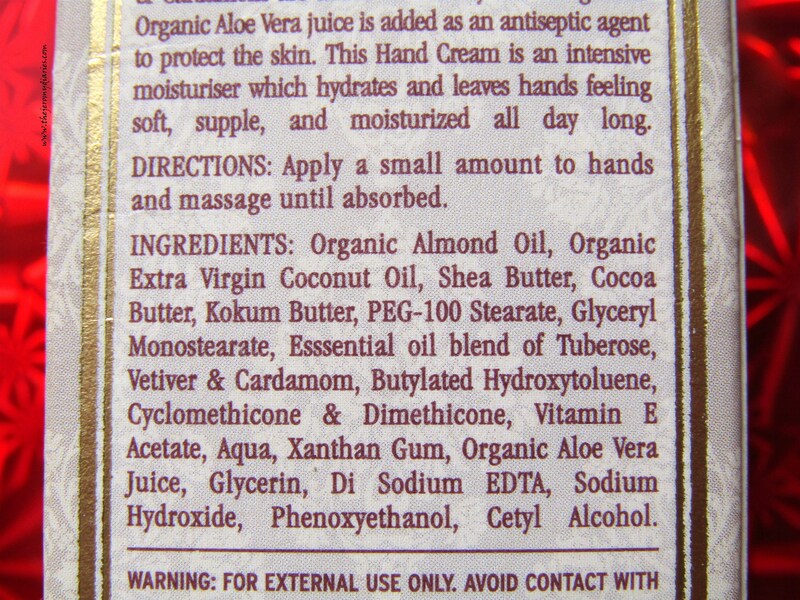 This hand cream has done wonders to my hand. 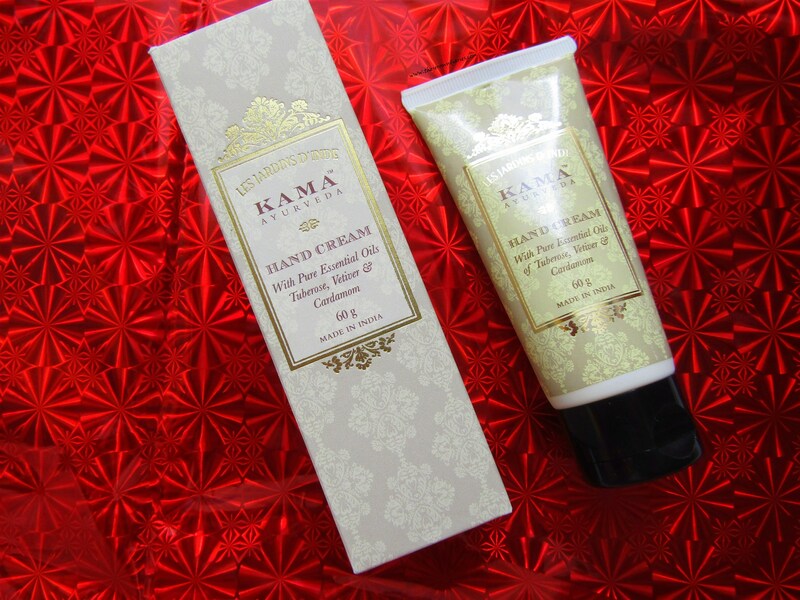 I was suffering from extreme dryness and the hand cream has definitely helped me getting softer hands. I loved your honest review and pictures too.